This cryptid is related to the Pope Lick Monster and the Goat Baby of Amish lore, in Lancaster, PA. There have been reports of a Goat Man in Alabama, Arkansas, California, Indiana, Kentucky, Michigan, Oregon, Texas, Washington as well as Canada and there are even reports out of South Africa. 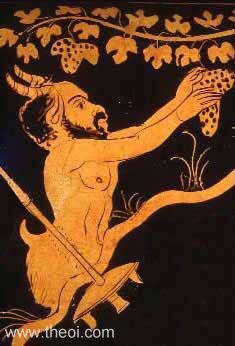 hybrids have been in our cultural vocabulary for millenia. Ever since the 1800’s creation of Baphomet by Elphias Levi, a self-styled magician, the goat/man hybrid has been associated the goat man hybrid with the devil. Sightings of the Goat Man were rampant in the 60’s and 70’s with teenagers spotting the Goat Man while parked in the woods at the local Lover’s Lane, and telling stories of people being murderd if they get too close to his lair. Reportedly in 1962 fourteen people, mostly children, were murdered with an axe for getting too close, though the local police have no records of any of these deaths. The main lair of the Goatman in Maryland is Governor’s Bridge, also known as “Cry Baby” Bridge due to a ghost story about the death of an infant at the spot. This is interesting as Kentucky’s Pope Lick Monster, another Goat Man, is also situated underneath a bridge, a train trestle in that case. The Pope Lick Monster, named for his home, beneath a train trestle situated over Pope Lick creek has many similarities to the Maryland Goat Man, he is another goat/human hybrid with horns and goat legs. He is also said to use an axe on his unsuspecting victims, and like his Maryland counterpart, has an urban legend origin. According to locals there was a blue-eyed escapee of a sanitarium who travelled with a pack of goats, and fathered children with them who retained the animalistic features, but also retained their father’s blue eyes. That is one of the stand out details of the Pope Lick Monster, pretty much every report states the blue eyes of the creature. It is rare to hear an eye description of something as aggressive as this monster is reported to be, unless they ar large or glowing, but it is rate to hear a story of the Pope Lick Monster without a mention of the deep blue eyes. As per local sighting is that the monster will chase people away from its territory by screaming or throwing sticks, and occasionally giving chase. In 2000 a young man of 19 died when he went on to the trestle bridge and saw a train coming, in order to escape the train, he jumped, and was killed in the fall. A number of accidental deaths have taken place at the trestle, even though it is fenced off to keep people away from the dangerous area. This of course makes it almost irresistible to monster hunters and teenagers. There are also many stories of people being found beneath the trestle, malnourished and naked, claiming to have been held captive for years. Whether these tales are true or false, it does add a unique twist to the legend surrounding this particular goat hybrid. The Pope Lick Monster, like his Maryland counterpart is also said to travel with a herd of wild goats. The warning is that if you come across a wild goat in the area of the trestle, get out of the area as soon as possible. Pindar. “Pindar, Pythian.” Pindar, Pythian, Pythian 3 For Hieron of Syracuse Horse Race 474 B. C. Ed. Diane Arnson Svarlien, 474. Web. “Eliphas Levi: The Man Behind Baphomet.” Templarhistory.com. 10 Apr. 2010. Web. Wright, Andy. “Maryland’s Goatman Is Half Man, Half Goat, and Out for Blood.” Modern Farmer. 15 Sept. 2013. Web. 25 Apr. 2015. Morphy, Rob. 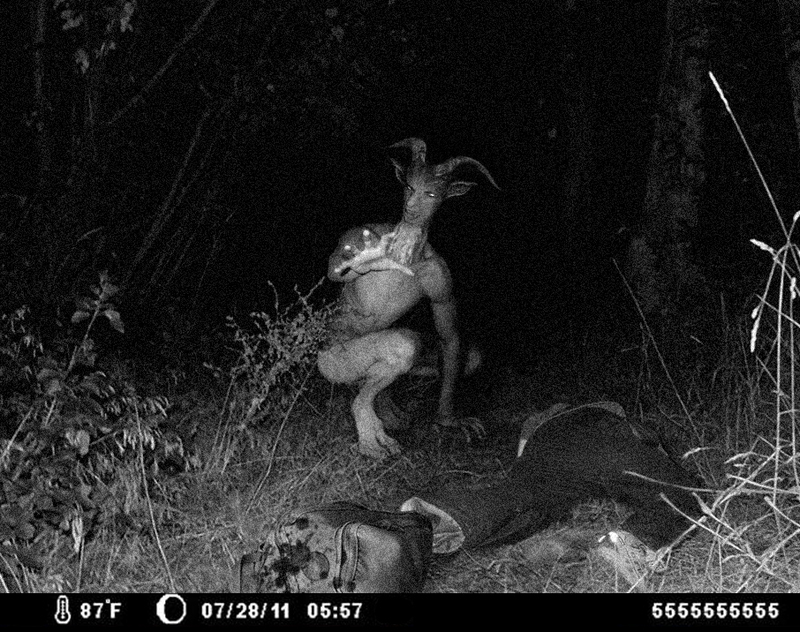 “GOATMAN: (MARYLAND, USA)” American Monsters. 12 Oct. 2010. Web. 25 Apr. 2015. Lee Harp Waugh, Lisa. “Goat Man.” HauntedAmericaTours.com. 1 Jan. 2004. Web. Godfrey, Linda. “Unholy Hybrids and Other Mammals.” American Monsters. New York: Penguin, 2014. 270. Print.